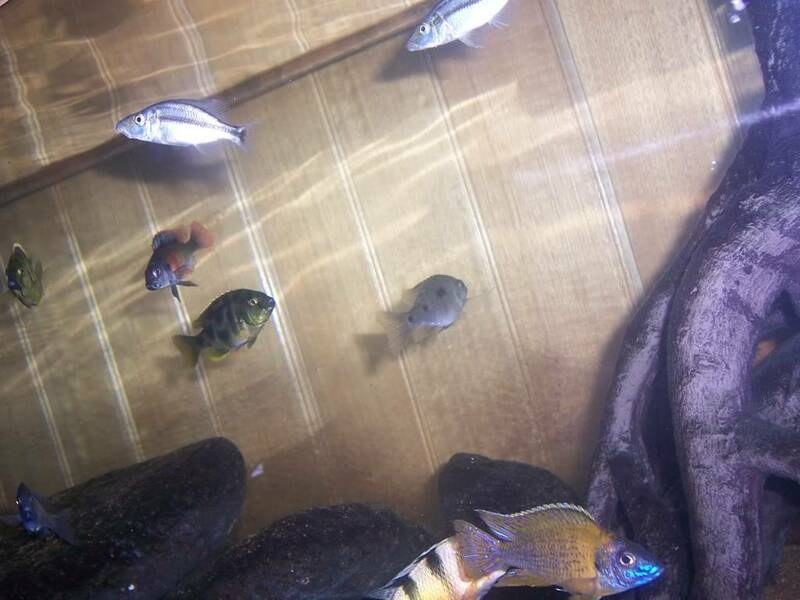 I recieved a phone call during the week from a lfs informing me that some Eye Biters had come into stock that I had on order a couple of months ago and asking if I still wanted any. "Yes I sure do man what are you crazy or something?" is how I wanted to reply but " yes please" were the words that come out. "How many would you like?" was the next question. 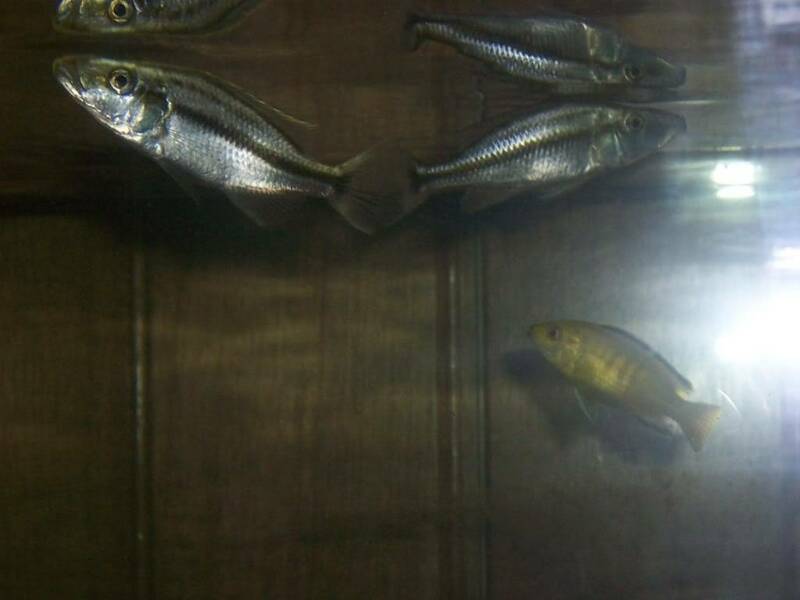 "every last one what are you crazy man or something" was what I was thinking but on asking the price wich by the way was a small fortune but worth it because I absolutely dig these fish and they are hard to get I replied with "just 2 please". 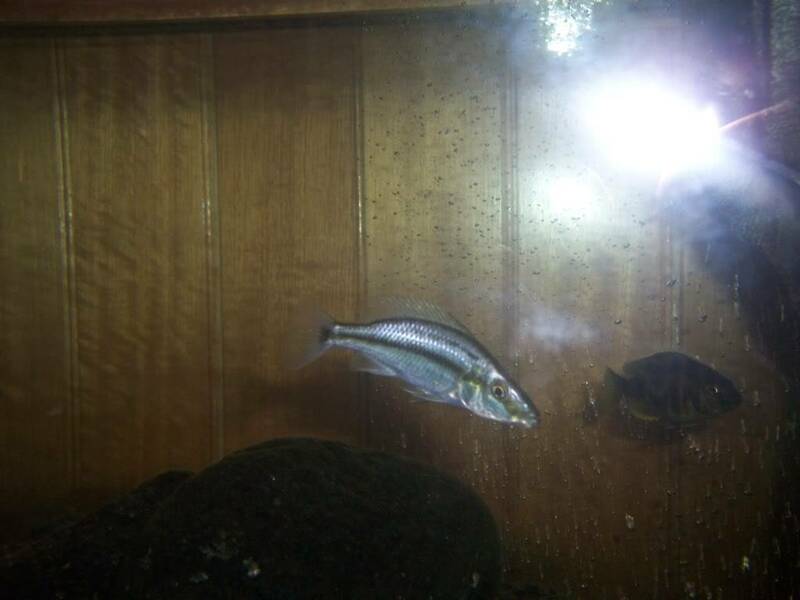 So I have 2 eye biters that I don't even know the proper name of cause I was so excited about aquiring some that I forgot to look for there names but I am hoping somebody can let me know based on the blurry photos posted below. No I still haven't done that background for my tank either. Very nice ! Dimidiochromis compressieps is the coolest looking fish out of Lake Malawi. theswede wrote: Very nice ! 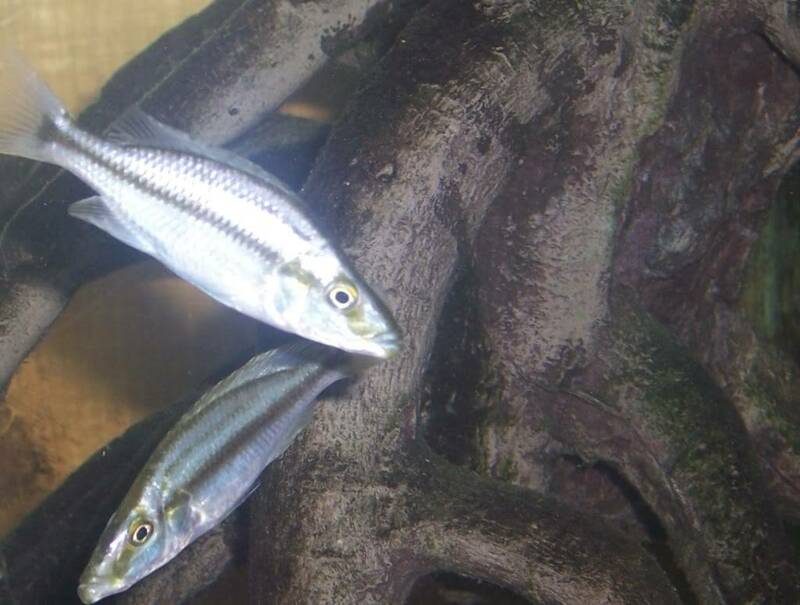 Dimidiochromis compressieps is the coolest looking fish out of Lake Malawi. I wasn't sure if there was more than one variant of this fish. Yes I have to agree. Its not only an interesting, menacing looking fish. It has a pretty unique hunting style as well with a built to hunt, ambushing style, this fish is paper thin from a front on or back on view and any unsuspecting smaller fish just wouldn't see it coming until it was too late. I'm very happy with them. Nice fish! I love my big guy, even though he has his moments -- he gets a bit feisty after water changes! Nice. Very cool you can get nice specimens from your LFS. Even cooler that they would call and give you first dibs. iceblue wrote: Nice. Very cool you can get nice specimens from your LFS. Even cooler that they would call and give you first dibs. Yes I'm stoked. The owner asked me ages ago what fish I was after and took my name and number but a few months had passed and i didn't think anymore about it. The store has just recieved a big supply of nice Africans. I'm just not ready yet to buy more as I still have work to do on a tank hood that also needs lids and a heater. It all comes down to that great evil money.